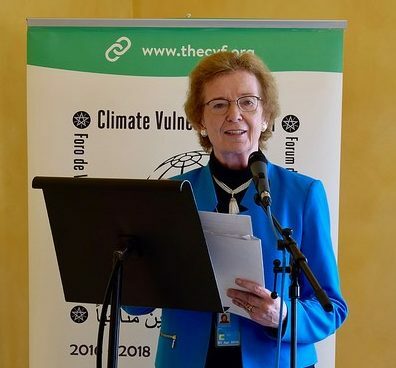 On Tuesday 13 June Mary Robinson delivered a keynote statement at the Climate Vulnerable Forum (CVF) Delegation Meeting and Thematic Debate on Climate Change and Human Rights. The event was an opportunity for CVF member countries to discuss how they might best be able to bring together their work on human rights and climate change, including through reporting under mechanisms in the Human Rights Council, such as the Universal Periodic Review (UPR). Mary Robinson’s speech focused on the practical steps that can be undertaken to deliver greater policy coherence in this area, building off the Foundation’s research Incorporating Human Rights into Climate Action. She noted that in ‘the case of climate change, human rights can provide a powerful tool to demonstrate the need for greater support, be it through capacity building, mitigation or adaptation, technological transfer or climate finance. Human rights can be a tool used to better secure a future for the people impacted unfairly by a changing climate.’ She acknowledged that CVF countries were ‘at the forefront of climate change, and also climate action’ and ‘lead the way in delivering responses that are transformative, people-centred and justice based’. Examples of practical steps that were highlighted included Kiribati’s UPR report in 2015 in which they detailed the human rights based approach they had taken in developing their ‘Joint Implementation Plan… on Climate Change and Disaster Risk Management’. They noted how the program respects and promotes human rights by ensuring that all residents of I-Kiribati have increased access to food security, safe water security and land security. Similarly, Niger’s 2016 UPR was highlighted which included a commitment to ‘enhance the population’s resilience against the effects of climate change’. And requested support in relation to technical assistance in its agriculture system a key element to delivering resilience. Climate resilience is a cornerstone of protecting people’s fundamental rights from the impacts of climate change and this effort on the part of Niger to enhance resilience will reduce the impacts of climate change on their right to life, health, housing and the environment. These examples show how countries can demonstrate best practice in their climate change activities in relation to human rights as well as request and underline the need for support in guaranteeing rights in the face of climate change impacts. Mary Robinson encouraged CVF members to build on this engagement and to not only showcase their integration of human rights into climate action through their reporting under the UPR, but to engage with non-CVF countries on this issue in reporting mechanisms, through questions and recommendations. 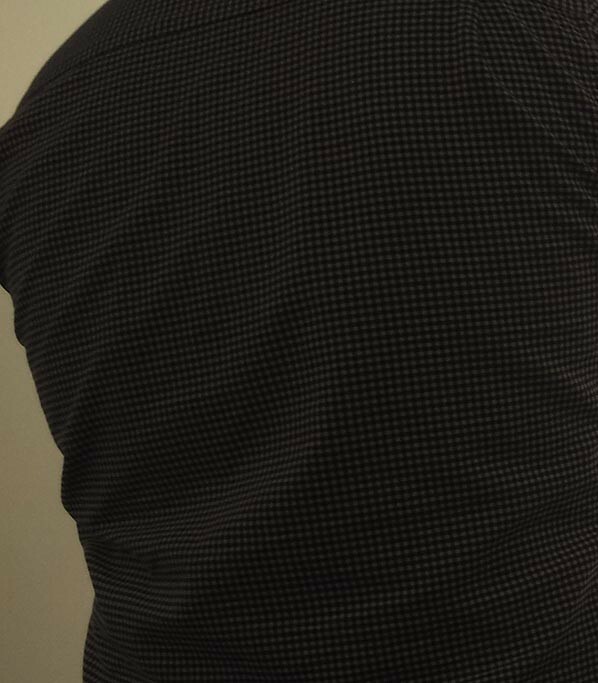 The Foundation will continue to work with the CVF on this important issue going forward.